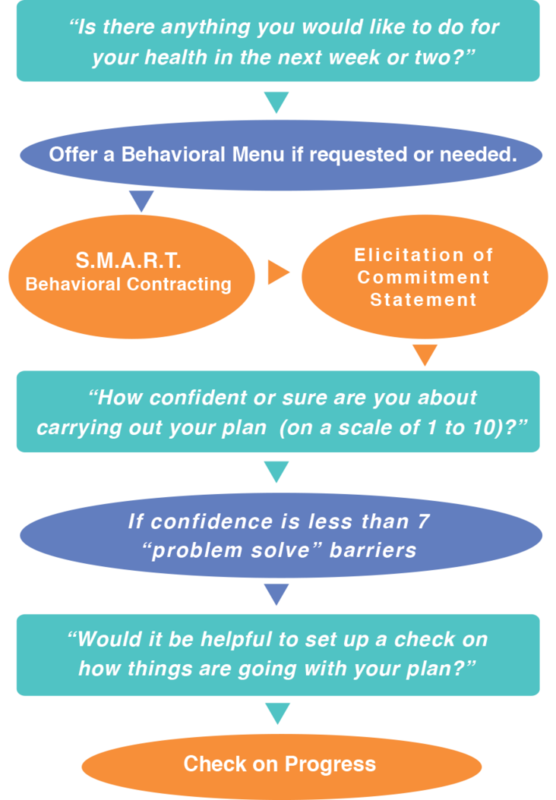 Developed by Steven Cole, with contributions from Mary Cole, Connie Davis, and Damara Gutnick, Brief Action Planning (BAP®) is an innovative, evidence-based, efficient and effective communication tool and technique designed for healthcare providers, health and life coaches to support self-management and motivate adaptive behavior change. B.A.P. adheres to the spirit of “motivational interviewing (MI)” and is designed for initial motivational work with all individuals, regardless of readiness for change. Individuals engaged in persistent unhealthy behaviors, however, often require more advanced emotional response skills, skills for understanding, or technical motivational interviewing (MI) skills. Research indicates that MI interventions show particular efficacy for angry, resistant, or ambivalent individuals; there are signals from this research, however, that these complex MI approaches may be less useful, and possibly even counter-productive, for individuals at higher readiness. BAP may be especially appropriate for those patients or clients at relatively higher levels of readiness for change. CMI online courses and workshops help learners master and flexibly integrate B.A.P. with more complex communication skills and, ultimately, advanced MI skills into a seamless clinical framework. CMI maximizes efficiency and effectiveness to facilitate healthy behavior change across all levels of readiness for change.